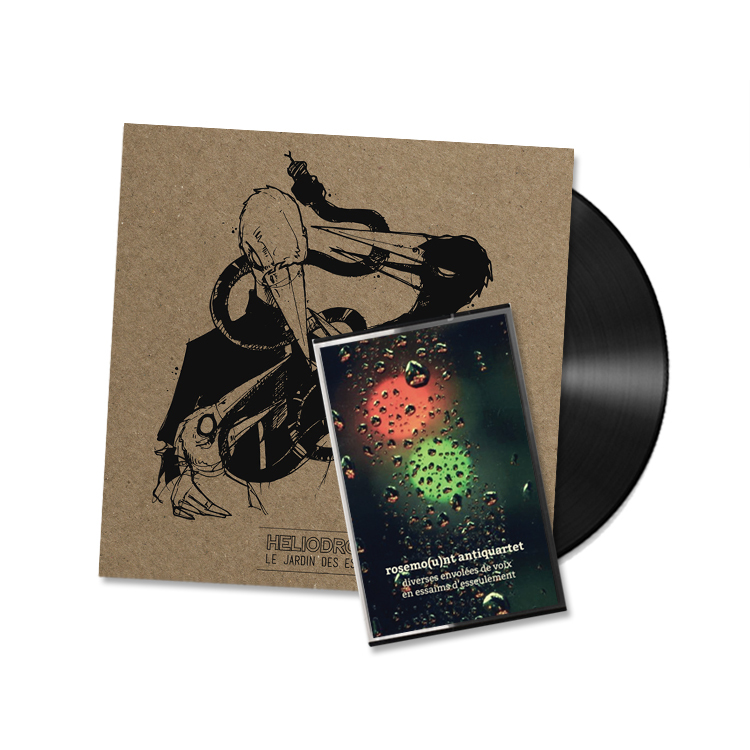 Home › Specials › Heliodrome Vinyl & rosemo(u)nt antiquartet Cassette Bundle! 11 years since his last solo album, ypl (of Heliodrome) has left behind his sample based music and has built short movies of sound in a krautrock jam band aesthetic on his latest album, diverses envolées de voix en essaims d’esseulement. The lap steel guitar rotates around the modular synthesizer cables, the bass resonates in a closed-circuit weightlessness and percussions are reminiscent of a halting edit. The journey crosses the ocean of genres to finish anchored in the hollow of your ear.